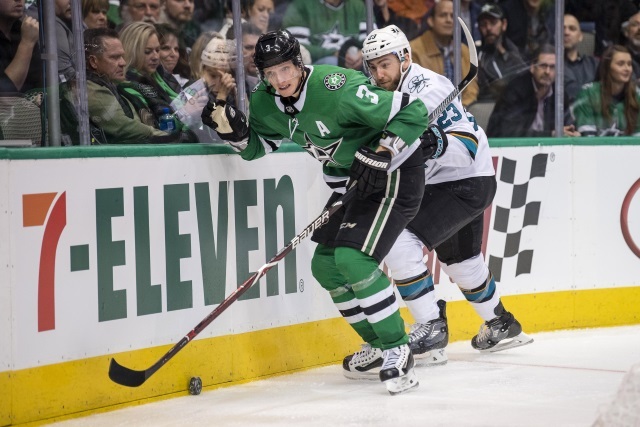 Mark Stepneski: Dallas Stars defenseman John Klingberg will be out for at least three weeks with an upper-body injury. Sean Shapiro: Klingberg suffered the upper-body injury when blocking a shot. Mike Heika: Stars defenseman Marc Methot and his lower-body injury are unlikely for Saturday, but is a possibility for the game after that. There is has been no update on defenseman Stephen Johns neck/headaches issues, so it’s not looking like he is close. Defenseman Connor Carrick (ankle) hasn’t started skating yet. Lou Korac: St. Louis Blues coach Mike Yeo said that Brayden Schenn is questionable for tonight. When looking at his participation level in yesterday’s practice, would lean towards him being out. Gregg Krupa: New York Rangers forward Mats Zuccarello is day-to-day with a groin issue. Marcus Kruger could be available for their weekend trip. Adrian Dater: Colorado Avalanche forward Tyson Jost will be traveling with the team on their road trip. They’ll determine after their morning skate if he’ll be able to go tonight. Michael Smith: Carolina Hurricanes forward Micheal Ferland has been dealing with an illness and wasn’t able to go in the third period last night. Amalie Benjamin of NHL.com: The Vancouver Canucks have sent forward Brock Boeser back to Vancouver to see a specialist for his groin injury. Boeser has already had an MRI and results were negative.